Meri flunks out of medical school-and runs from her parents. Genealogist Jillian Parisi-Duffy's digging traces the family long tradition of doctors to an ancestor saved during a yellow fever outbreak in Memphis in 1878. As Meri's family closes in, Jillian gets the final puzzle pieces in place just in time for them all to learn the truth. 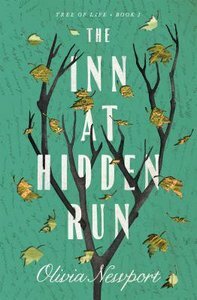 About "The Inn At Hidden Run (#01 in Tree Of Life Series)"